Experience the wonders of the Imperial Cycle with Into the Forbidden City, the third Dynasty Pack for Legend of the Five Rings: The Card Game. 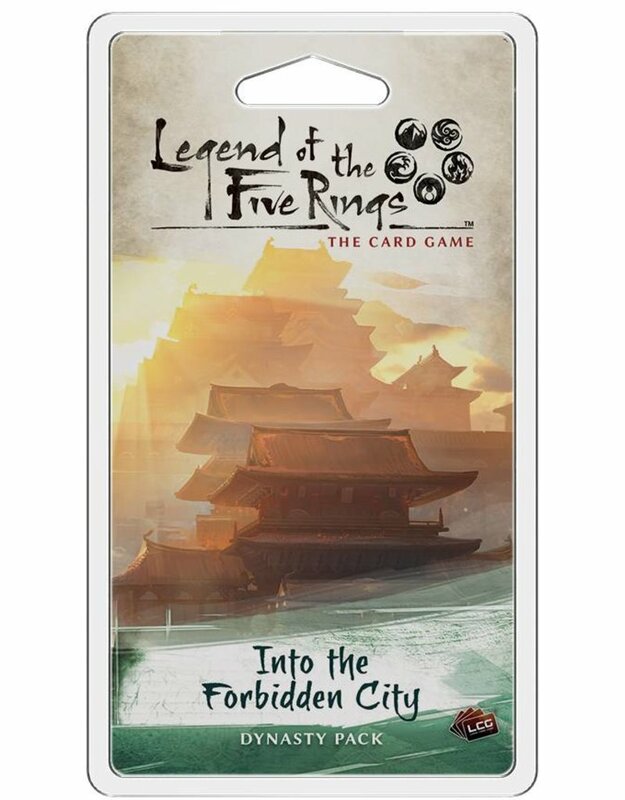 Each of the seven Great Clans receives new cards that continue to embrace and define the themes that began in the Legend of the Five Rings: The Card Game Core Set. Along the way, you’ll find a great assortment of cards focused on the Imperial City of Otosan Uchi.